I wanted to like these. I love a maple donut with a sprinkle of bacon. I love it when maple syrup gets on my bacon. There may not be a better combination of sweet and savory in the world. With that said, I did NOT like these Maple Bacon Pop-Tarts and neither did anyone else I offered them to. 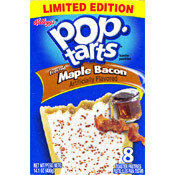 Each Maple Bacon Pop-Tart is frosted and sprinkled with brown, bacon-flavored specks. The filling tastes like the filling of a Kellogg's Brown Sugar & Cinnamon Pop-Tart that's been infused with maple extract and liquid smoke. Ordinarily for such a novelty product, I find myself saying, "It was fun to try once." These were not fun. These Pop-Tarts taste bad. You don't taste bacon. You taste a bacon chemical. The worst thing is the aftertaste. Since testing this product, I've had two cups of coffee and two glasses of water and I still have a sickeningly sweet smokey taste in my mouth. The only good aspect of this product is that it might encourage people to brush their teeth. 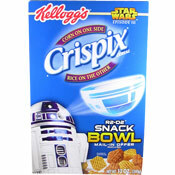 Kellogg's normally shows pride in their breakfast products and displays respect for the institution of breakfast. They have their share of hits and misses, but they don't purposely give consumers absolute garbage knowing that some suckers will buy it. Somebody during the formulation of these Pop-Tarts must have said, "Hey guys... Is anyone else noticing these taste digesting?" Kellogg's abandoned quality. They disrespected bacon lovers. They let us down. Bottom Line: This is the only product I've ever reviewed where I think the company should issue an apology for releasing it. Nutritional Information: Each toaster pastry has 210 calories, 7 grams of total fat including 2.5 grams saturated fat, 0 mg cholesterol, 210 mg sodium, 35 grams total carbs, less then 1 gram dietary fiber, 15 grams sugar and 2 grams protein. 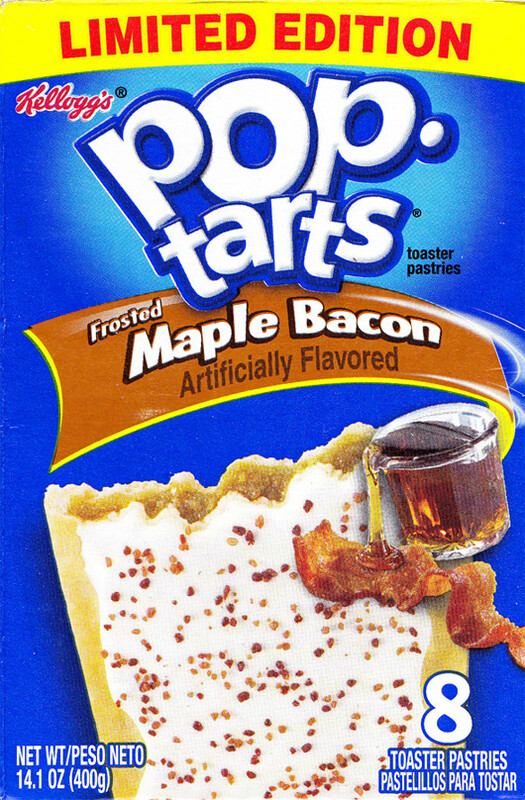 What do you think of Maple Bacon Pop-Tarts? I loved the heck out of these and want more of them. My friend said they had a freezer-burned taste. I didn't try them. I ran.